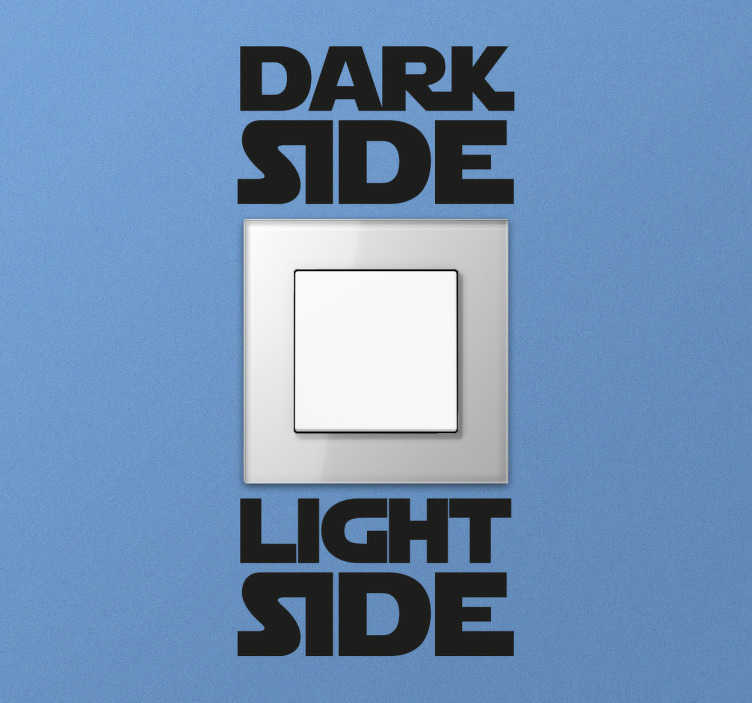 Star Wars Light Switch Sticker. Decorate your childs bedroom with this fantastic light switch sticker. If you often get tired of repeatedly telling your kids to turn off their lights, then this sticker may be the answer. Encourage your kids to turn off the lights with this sticker. The "dark side" is referred to when the lights are turned off, while the "light side" is referred to when the lights are turned on.